COLUMBUS COUNTY, N.C. — An empty tobacco warehouse stands on the outskirts of Whiteville, North Carolina, a small southeastern town that used to be a pit stop along Tobacco Road. A few more miles outside city limits sit thousands of acres of farmland with run-down drying barns serving no use because most farmers switched to corn and soybeans years ago. But down one winding road in Columbus County, miles away from the abandoned tobacco warehouse, what’s old is new again. Four acres of a crop that used to proliferate throughout America is growing tall — hemp. Founder’s Hemp, based in Asheboro, is one of few hemp processing companies in North Carolina. 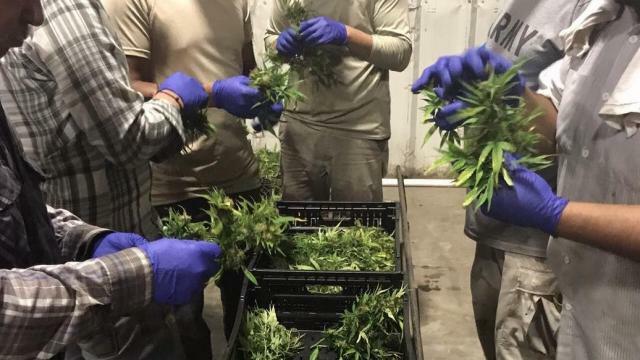 The company opened shortly after the passage of the 2015 farmer’s bill by the federal government, which took hemp off the controlled substance list. The same can be said for Sager West, a hemp farmer based in Greensboro, who moved back home in 2017 after learning about the pilot program. West had worked on a medicinal cannabis farm in California and wanted to bring his experience home to grow hemp. George Wooten couldn’t be further from that image. He barely knows who Bob Marley is. He’s a proud N.C. State graduate with a wife and two kids and is a third generation farmer. Put the economic numbers aside. Hemp plants are scavengers, meaning they absorb all the metals and pollutants in the soil. 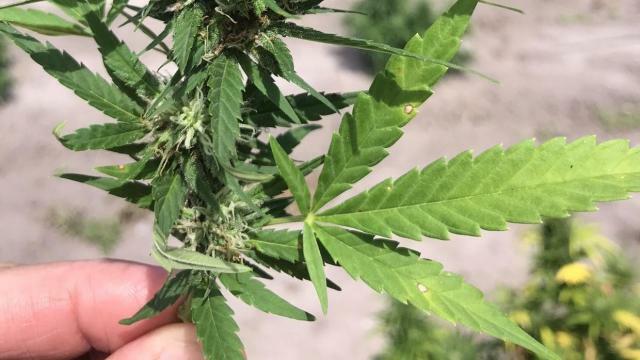 That can hurt the quality of the hemp and reduce the profit, but it also clears out the soil of contaminates and makes for a healthier crop next time around. Some environmental groups are researching hemp plants to help clean polluted lands. Sarah Bailey Wooten could only find relief in cold, silent, dark rooms. She would crouch in the corner, wincing at every crack the house made. For years she went to traditional doctors, holistic doctors and chiropractors. The most unlikely people use CBD oil for relief. There’s the 80-year-old woman tired of chronic arthritis and the 53-year-old man with migraines. And maybe soon, George Wooten’s 9-year-old son who suffers from severe epilepsy. There’s no reason for children to not use CBD oil, but generally it’s advised to wait until they are 12 years old for consumption. Despite the farm bill of 2015 allowing hemp to be removed from the federal list of controlled substances, CBD oil in the Wooten’s part of the world still feels a little sketchy. Hemp is the identical twin to marijuana: they look exactly the same but are genetically different. Someone driving down the highway might do a double take if they stumbled past the Wooten’s four acres. 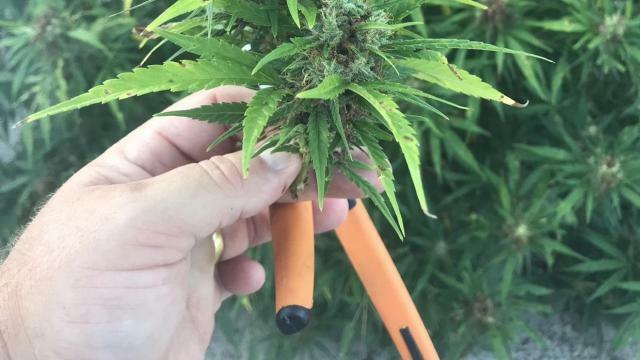 Someone might even pull over and try to harvest a couple plants for themselves under the illusion they’ll get high from smoking it. To combat that, the Wooten’s tucked their plants behind a winding dirt road on the farm where they both grew up harvesting tobacco. It wasn’t exactly hidden, but they could keep a close eye on who was coming and going down their driveway. The storm cut the Wooten’s harvest by half. Infrastructure and education are the two biggest pitfalls in the United States. 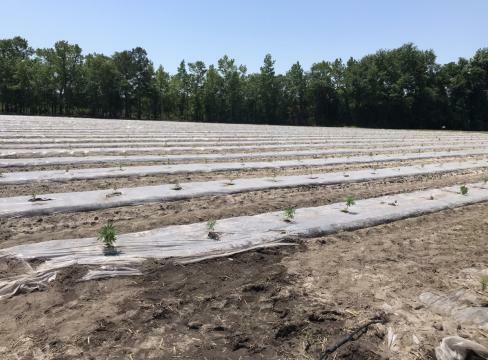 Former tobacco farmers have what they need in place for harvesting, but processing hemp has a long way to go. Hemp seeds are much smaller than normal grains or flower seeds, rendering a sunflower seed processing plant unusable. Hemp fiber is more difficult to process and currently can’t be done through machines. Politicians are the hardest to convince, Cartonia said. The lack of research doesn’t help. Because hemp is newly released from prohibition, there has been little research on cannabinoids, like CBD and THC, and the discovery of the endocannabinoid system in the human body has years of catching up. Since CBD oil has skyrocketed, researchers are starting to pick up on the momentum and confirm the anecdotes are true: CBD increases appetite, helps calm inflamed nerves, relaxes muscles and improves mood. On all fronts, from farmer to politician, education is key. The Wootens are opening a holistic wellness store in downtown Whiteville right beside one of five hamburger restaurants in a two-block radius. They’re installing TVs to run educational videos about hemp and CBD.